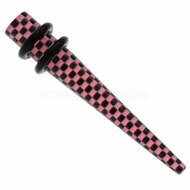 The best way to stretching your ears is to use ear stretchers. 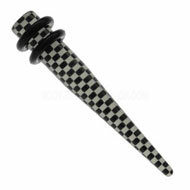 Ear stretchers are tapered pieces of piercing jewellery that you can use to gradually stretch your piercings. They come in a huge range of designs, from the purely functional to beautiful pieces that can be worn as jewellery after you have achieved your desired gauge. 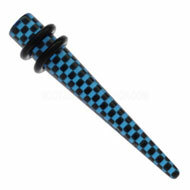 In this post I will outline some of the most popular types of ear stretchers and their advantages. 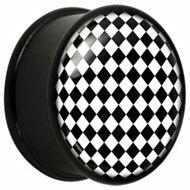 This entry was posted in Ear Piercings, Stretched Piercings, Stretching Jewellery and tagged 00ga Stretching, Ear Stretcher, Ear Stretchers, Ear Stretching, Large Gauge Stretching Jewellery, Stretching Jewellery, Stretching Pin, Stretching Taper Pins, Stretching Tapers on January 12, 2011 by Piercing Guru. 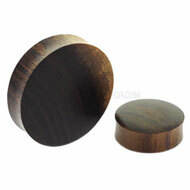 If you have stretched your ears to over 20mm, mega flesh plugs are the perfect way to show them off. 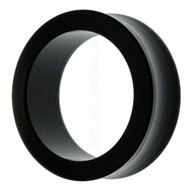 Mega plugs are flesh plugs over 20mm in diameter – equivalent to 13/16″. When your plugs get to this big it is important to have jewellery that is kind to your ears, made in materials that will not irritate the skin, be uncomfortable or weigh down your stretchings. 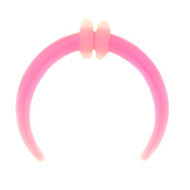 Mega flesh plugs fulfil all these requirements because they are made from lightweight, skin-friendly materials that feel very comfortable to wear. 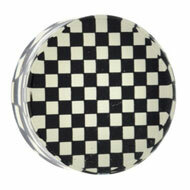 PMMA is an excellent material for mega plugs because it is very lightweight, cheap, durable and comfortable. 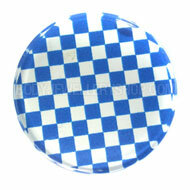 It is a variety of skin-friendly plastic and can be made in lots of different colours and styles. 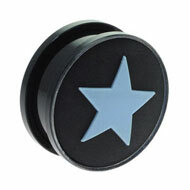 PMMA mega flesh plugs are smooth and light, so they cannot put stress on the piercing. 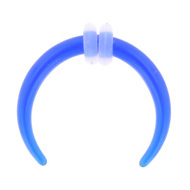 The fact that they are so light means that they do not stretch your piercings over time or lead to uneven thickness of the stretching-wall. 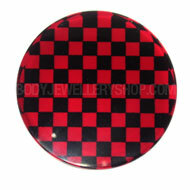 They also come in a fab range of bright colours and UV-reactive styles that really stand out. 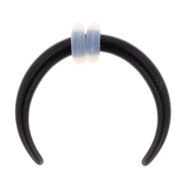 This entry was posted in Acrylic Body Jewellery, Stretching Jewellery and tagged Flesh Plug, flesh plugs, Large Gauge Stretched Piercings, Large Gauge Stretching Jewellery on May 12, 2010 by Piercing Guru.